A few months before his untimely death, Chip Reese was quoted as saying, "The most money I ever lost in poker was $2,022,000 in one night, playing $8,000/$16,000 limit. I lost that money to Archie Karas." During Archie's amazing poker streak, he won millions from the world's best poker players, mowing them down with ease. The only player in the lineup who beat Archie the first round during his streak was two-time WSOP champion Johnny Chan from 1987 and 1988, and he won $900,000 from Archie, right after Chip lost $2,022,000 to Archie. Johnny Chan lost many times to Archie, both pre-streak and later, including a $1,000,000 freezeout in their last match played. Archie will tell you Doyle Brunson was a great player who once beat him for $600,000 in razz, about a year into the streak. Said Archie,"I give Doyle credit there, because very few ever won a session against me in razz! I don't think Doyle or anyone else could win more than once or twice out of ten plays in razz, my best game." Doyle, of course, was a two-time WSOP Main Event champion in 1976 and 1977. "I won my share of battles with Doyle in the past," Archie added, "but only played him about four times heads-up and seven or eight in ring games during the 1992-1995 streak." "Truthfully, I exploded as a big controversy erupted like a volcano! 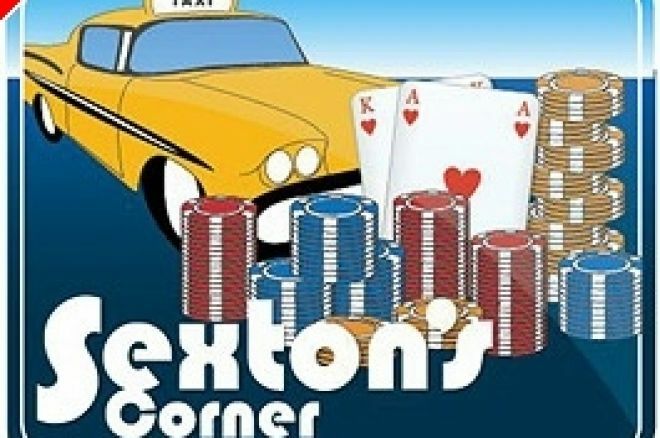 In fact, Jack Binion had to be summoned to come down immediately, to settle things down between his best friend and his biggest gambler. When you play heads-up, you shouldn't need anyone to hold your hand. It is up to you to read your own hand. This incident broke our game up, and Doyle and I didn't play any more poker after that." Archie said, "Instead, Doyle would let Chip play me throughout the streak, and I always respected Chip for taking the punches. The best defense is a good offense. With me, you've got to get in there and box. Otherwise, you're going to get knocked out! I always gave Chip the most credit for playing me more than anybody else, and playing sky-high limits Chip and I probably played over 25 times. For me, playing $10,000/$20,000 limit in poker was penny ante, because I would throw the dice for a million in a few seconds, during a roll." "After a while, Chip started to stare at me and my chips, with his eyes darting back and forth, with a look like I was doing something to him! I stopped playing and said, 'What's wrong, Chip? Why are you looking at me that way? What did I do?' Chip looked at me and said, 'Can't you see what you're doing to me?' As I looked down at all of the yellow chips sitting in front of me, it hit me for the first time, what he was referring to: I had almost all of the yellow $1,000 chips! In heads-up poker, whoever wins the antes wins the match. You can bank on this 90 times out of 100. The big pots will usually even out. While an opponent is waiting for aces or a good starting hand, I'm raising every pot and winning the antes and bring-in. Playing $10,000/$20,000 limit, you are talking about $9,000 pots over and over. The antes are $3,000 each and the bring-in is $3,000. Chip was very smart, as he was trying to measure what was going on, after losing to me so much!" Archie continued, "I always knew that they sent the best player at me the most in Chip Reese. When we first started playing high at $8,000/$16,000 limit in seven-card stud, Chip noticed I wasn't looking at my hole cards one night. He said, 'Archie, you're not looking at your hole cards.' I said, 'It's okay, Chip. When it is time to look at all the cards, we will do it together.'" Chip laughed at Archie's remark, but inside, he must have felt that any control of the match at such high stakes was evaporating. Archie asked me, "Do you know why I did that, Tommy?" Before I could guess why it might be helpful to not look at your hole cards, Archie continued, "I did it to take the bluff away! A man will begin to hesitate to try and bluff or steal a pot, if he thinks his opponent is crazy enough to call anyway. Not many players could do this at $10,000/$20,000 limit. Heads-up poker is a game of psychology. I picked my spots to do this, of course, when I might have a strong early board, but when I was rolling, it didn't matter what my up cards were. You must mix up your play to keep your opponent off balance and out of rhythm. "Many of my opponents want to add games or play half razz and half seven-card stud. I want to play one game only, so razz being my best game, the opponents usually played seven-card stud 90% of the time. Once Johnny Chan wanted to add a few games, and I quickly said, 'John, I'm not looking to add any games. I'm looking to take one away. Tell you what I'll do, if you want to play another game: Let's play six-card razz. He went for it, and lost a quick $300,000! If you're a great razz player, playing six-card razz is even more of an edge. You have to be quick-minded and smart in this shark-infested world in order to survive. Like a boxer, you have to protect yourself at all times. "Chip Reese was poker's class act, whether he won or lost. I always respected and admired the way he handled himself. We played for high sums and would always play on credit. Sometimes he would loan me $500,000 and vice verse. One night at the Mirage, I asked Chip to loan me $500,000 to play on and lost it. I asked him for another $500,000 and lost it. Then I asked him to loan me another $1,000,000 in the game. Chip looked up and said, 'Archie, I've never loaned $1,000,000 to anyone in a poker game, let alone $2,000,000.' I said, 'Chip, I've got $6,000,000 in the money box down at the Horseshoe, and we'll go straight there after the game to settle up if I lose.' Chip sort of laughed and said, 'I'm putting this in a book, down the road,' as he pushed another $1,000,000 over to me at the table." Archie continued, "Just as I agreed to do, I met Chip down at Binions Horseshoe's cashier cage that night, and lined up $6,000,000. I counted out $2,000,000 and paid him. Then I said, 'Chip, let's play for the $4,000,000 I still have left. Let's play $20,000/$40,000 limit now!' 'Chip turned and left with his four racks of $5,000 chips, which was half a million per rack. It would be the last time we played poker together, as I would not have anybody else left to play poker high enough with me. This meant I would have to gamble more at the dice tables and baccarat games, in order to continue to play sky high." I said, "Archie, you truly seem to be the undisputed heads-up poker champion of all time, as you seem to have played 30 to 40 of the world's best players over the years, both pre-streak and during your magical streak. During that time, you played the greatest player of our times, Chip Reese, about 25 times alone. Nobody has ever beat Chip in the long run, other than you. To me, one of the amazing facts of your story is you never played business guys who were average or poor players. Instead, you had to play all the hustlers, world-class players, or former and current world champions. What you accomplished in poker is amazing! One might beat you once in a while, but never in the long run playing heads-up." I then asked Archie, "Have you ever looked back in time and estimated how much money you have won playing poker over the years?" Archie said, "Tommy, it's got to be between $20,000,000 and $25,000,000. Poker is like pool when it is heads-up play. In the long run, skill will win out. Chip might have maneuvered and been a better manager with his money, always trying to reduce the limits, where he was more in his comfort zone, but nobody was able to manipulate or control me. If they did, it was for a short time only, as I caught on pretty quick. I always wanted to play higher than everyone else. That always made the game short-handed, or preferably heads-up, which is entirely my world!" Keeping our story in sequence, Archie won $1,200,000 in pool, then ran it up to $7,000,000 in three months playing poker and shooting a little dice. 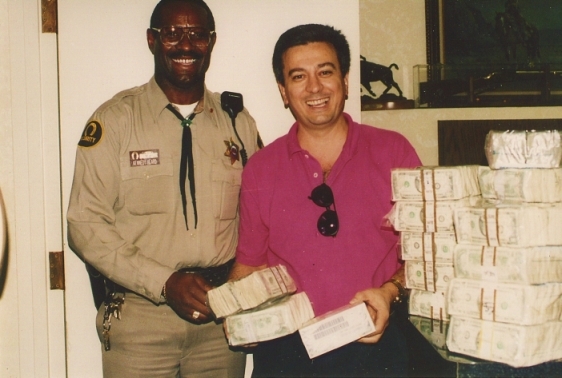 At the end of six months, he found himself sitting on top of a $17,000,000 fortune, mostly from poker, along with some dice while between matches! Stay tuned for Part 5 of the story, as Archie "The Greek" Karas does the unthinkable — he runs his $17,000,000 bankroll up into a fortune that exceeded over $40,000,000 shooting sky-high dice, as he gets the limits raised to play higher at Binion's Horseshoe!